I’ve heard this phrase more than a few times in my life: “God doesn’t give us more than we can handle.” Perhaps you’ve heard it too. I think people often say this trying to be helpful when they’re at a loss for words, or as a misunderstanding of 1 Corinthians 10:13, which discusses God providing His people a way out when temptation strikes. But in the day to day, this statement simply doesn’t ring true. I frequently find myself in prayer for those dealing with things we can’t “handle” at all. Some grieve the loss of family or friends loved for years, or those they had little time to know. Others suffer chronic illness or injury, sometimes dealing with ongoing rehab or hospitalization. Whether physical or emotional, by accident, attack or even self-inflicted, you’ve undoubtedly experienced issues of your own. I recently suffered some 7 months of chronic back spasms during which I could hardly lie down or sleep even with treatment, leaving me nothing but to cry out to the Great Physician every night. Thankfully, He did choose to heal in this instance. Even as I wrote this, I developed a strange affliction reminding me it’s only by God’s grace I can even lift my head. No more than I could handle? I think not. Yet I’ve clearly experienced God using such things to draw me closer to Himself and make me more empathetic toward others, and for both I am grateful. While we can’t anticipate circumstances, it seems ironic that many of us act like we should be excluded from trouble in it’s various forms. We see it all around us. Everyone faces hardship eventually. However, what was truly unexpected was that God Himself also suffered in this world. During those months of chronic pain, it occurred to me that Jesus experienced pain I can’t even imagine. Betrayed by friends, whipped and beaten, nailed to a wooden cross to die alone. This didn’t minimize my suffering, it helped me see that God relates to suffering on many levels. Hebrews 4:15 states, “For we do not have a high priest (Jesus) who is unable to sympathize with our weaknesses, but one who in every respect has been tempted as we are, yet without sin.” So Jesus relates to temptation as well, but He was the only one who could handle it without sin, which is any thought, word or deed God hates, or avoiding what He loves as stated in Scripture. Jesus handled this life perfectly as none of us can. Not only that, but Jesus also handled death itself once and for all. When I die I won’t be able to bring myself back to life. Yet following the brutality of the cross which ended in His death and burial, Jesus returned to life. And because of that, only He has the power to raise any of us to life again. The Bible describes us as “dead in our sin,” totally unable to help ourselves. We’ve all sinned, falling short of God’s glory, and for this we earn death. 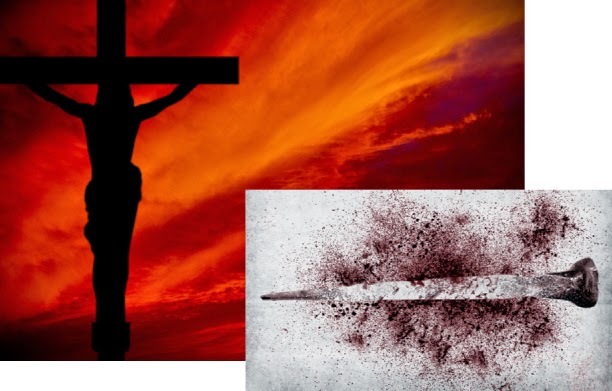 (Romans 3:23 & 6:23) But for those who trust Jesus, asking His forgiveness and help not to sin, Romans 8:10-11 says something very different, “...if Christ is in you, although the body is dead because of sin, the Spirit is life because of righteousness. If the Spirit of Him who raised Jesus from the dead dwells in you, He who raised Christ Jesus from the dead will also give life to your mortal bodies through His Spirit who dwells in you.” Only God can handle our ultimate need, the need to know Jesus and be made alive in Him. I can’t even heal myself. I definitely couldn’t pardon my rebellion against God, and I sure can’t cheat death. But while we experience such things and many more which we can’t handle, God proves that He absolutely can. This is just some of the amazing beauty of knowing Jesus, and I pray He makes this reality clear to you and to me: God will never give us more than He can handle. Trust Him.